After Mariah Carey starred as a guest judge on American Idol’s season twelve, we have not heard much from the 44 year old iconic singer, yet the mom of two has not been standing idle. Following the release of her 14th studio album “Me. 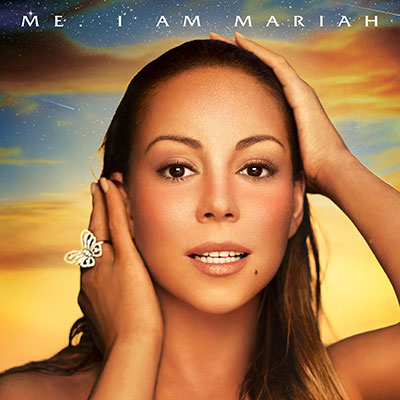 I Am Mariah . . .The Elusive Chanteuse,” SESAC announced that they have signed Mimi to their family of songwriters. SESAC couldn’t be more excited to sign Mariah Carey to our family of songwriters,” said Trevor Gale, Senior Vice President, SESAC. “Mariah Carey is without question one of the most gifted and influential artists ever and is truly iconic. While simultaneously remaining relevant, she continues dominating the charts in an unprecedented multi-format fashion. We are ecstatic to have the rare opportunity to work with such a prolific songwriter and producer. Mariah wrote, produced and used her incredible instrument to weave together her new album, which is being greeted with massive critical acclaim worldwide. She manages to top herself with each project and continues to transcend the music industry and the typical categorization of music, setting a standard that has yet to be matched. We are honored to have Mariah Carey in the SESAC family. I’m excited to join the SESAC family and embark on this voyage together. This album has been a personal journey and it is very close to my heart. I am confident that this partnership will allow me to explore new channels and audiences with my music. To date Me. I Am Mariah . . . The Elusive Chanteuse has sold more than 200 million albums and reached #18 on the Billboard Hot 100 #1 singles.